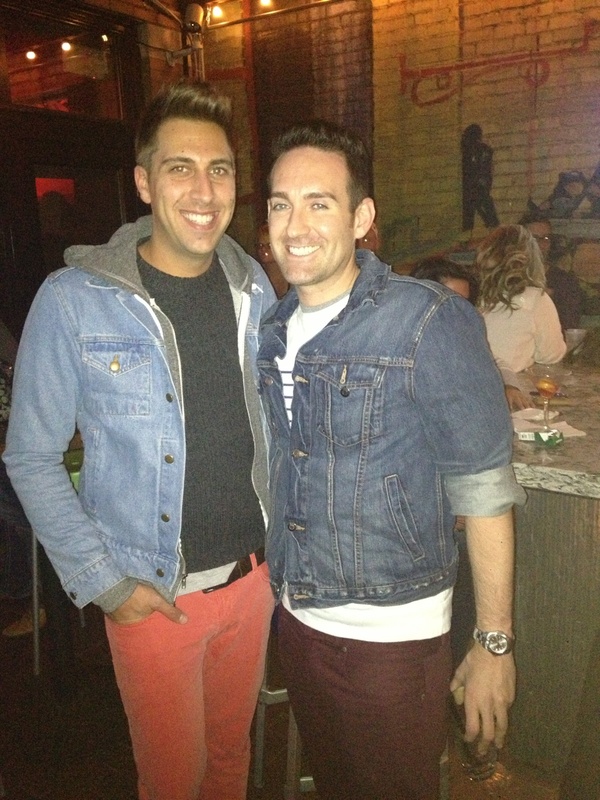 Pictured above are A&F head stylist Shannon Smith (left) in an American Apparel jacket and Nantucket red jeans from Urban Outfitters, and Kevin Cothren (kind of a big deal in women’s denim at Express) in a Gap 1969 jacket and Express jeans. The boys are – as always – hanging out at Union Café in the Short North. This entry was posted on Friday, October 12th, 2012 at 10:29 am	and tagged with American Apparel, Canadian Tuxedo, Denim, Denim on Denim, Express, gap, Gap 1969, Jeans, Kevin Cothren, Shannon Smith, Short North, Union Café, urban outfitters and posted in In The Wild. You can follow any responses to this entry through the RSS 2.0 feed.